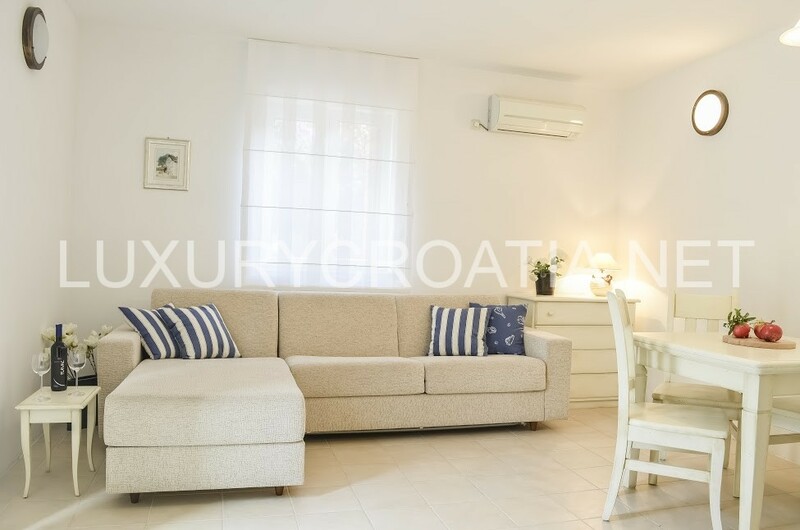 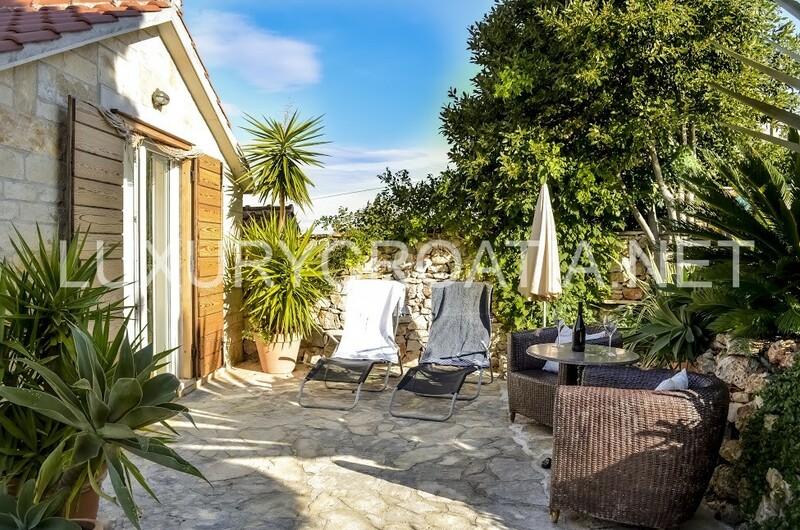 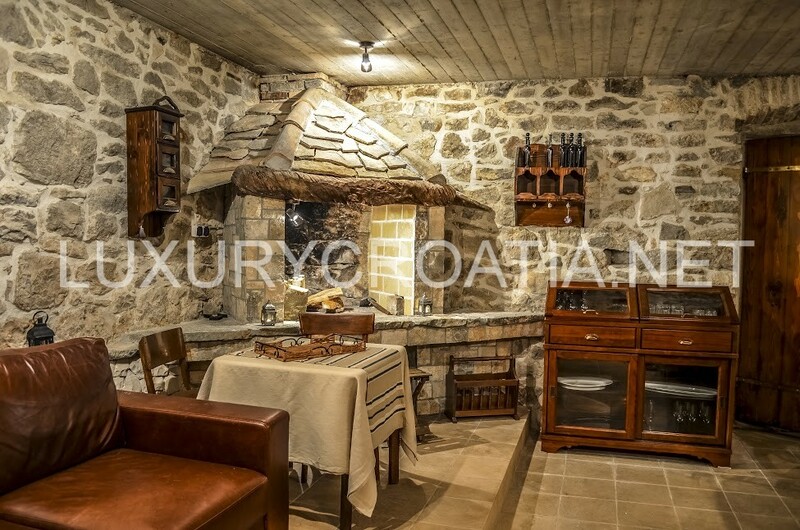 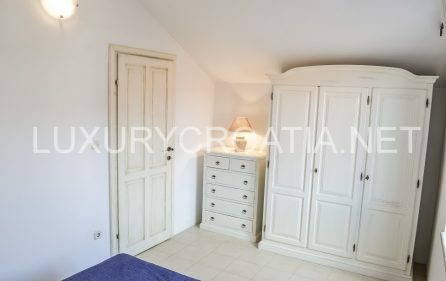 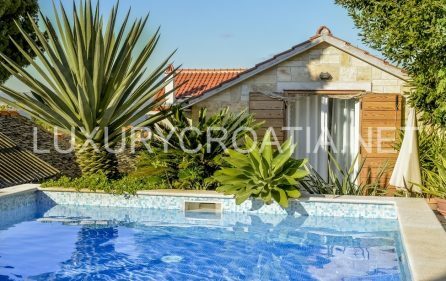 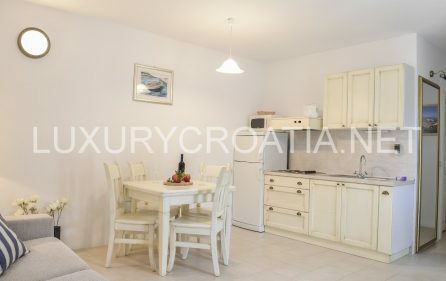 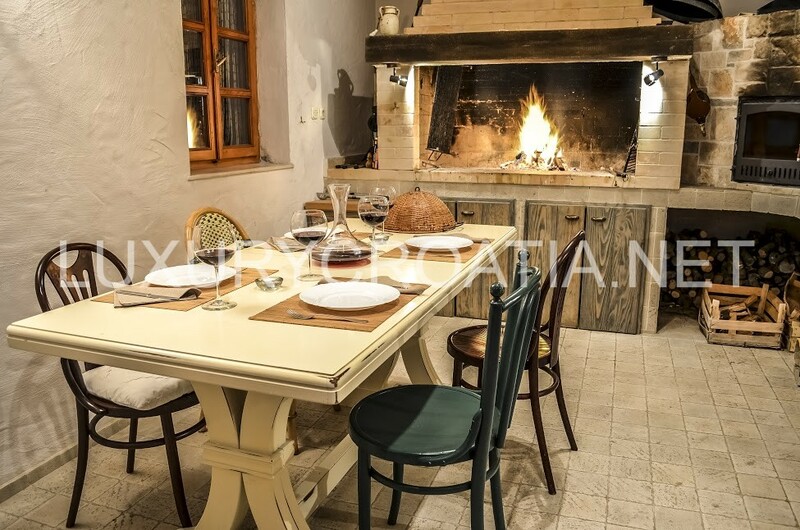 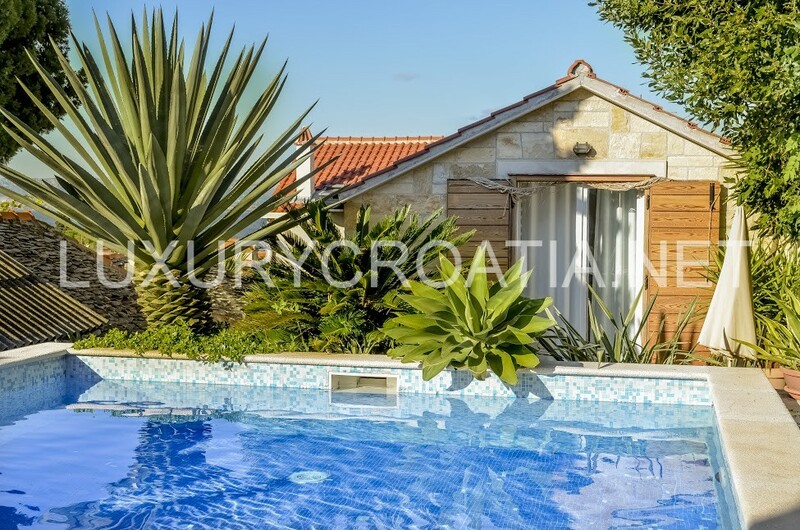 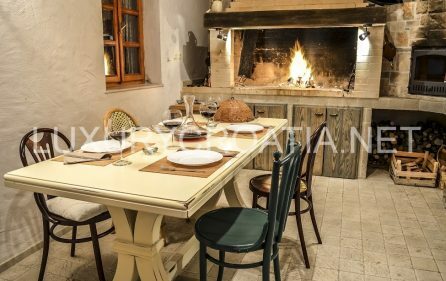 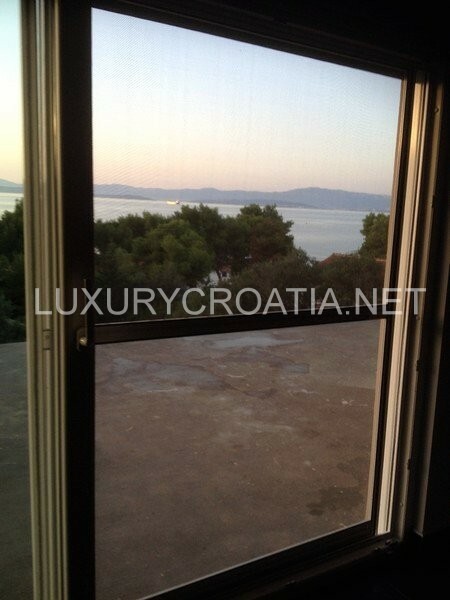 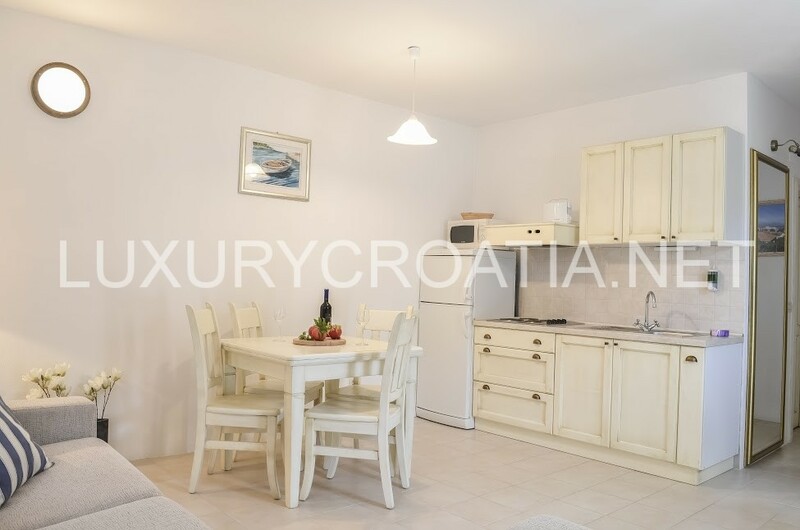 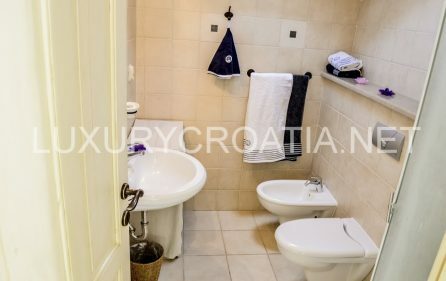 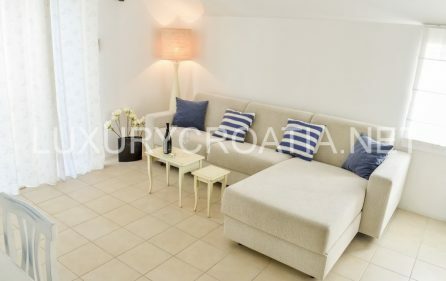 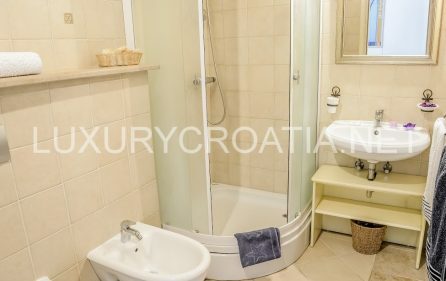 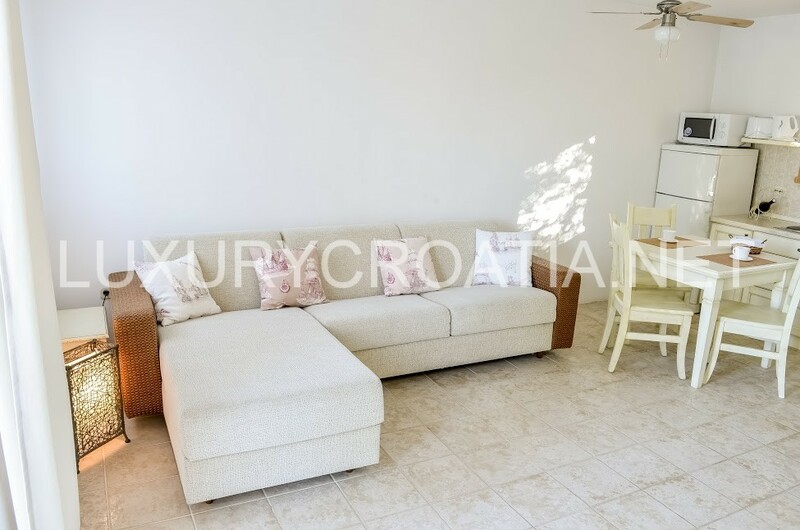 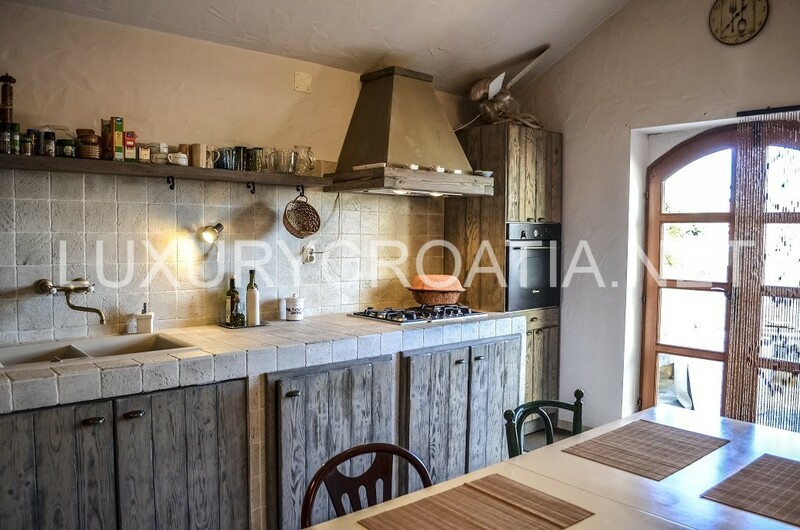 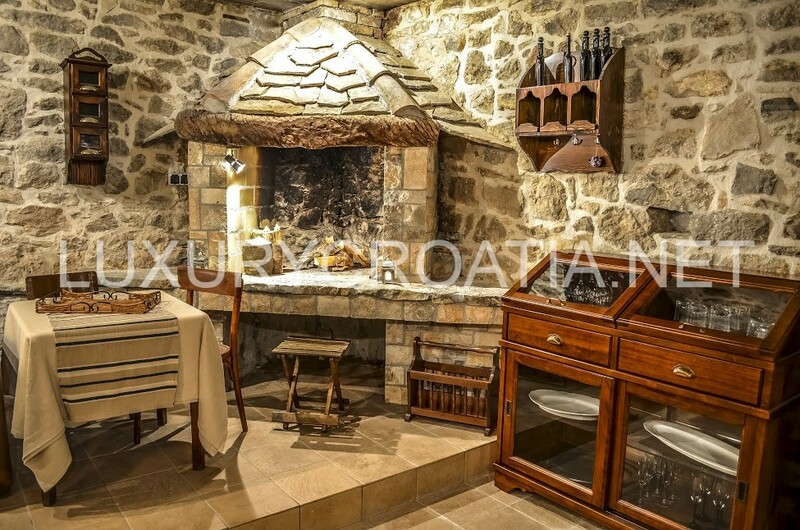 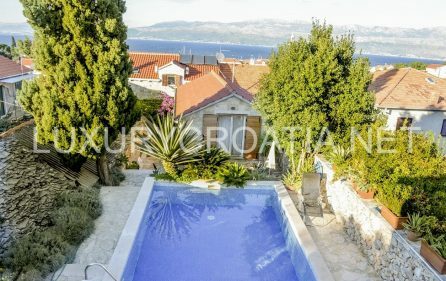 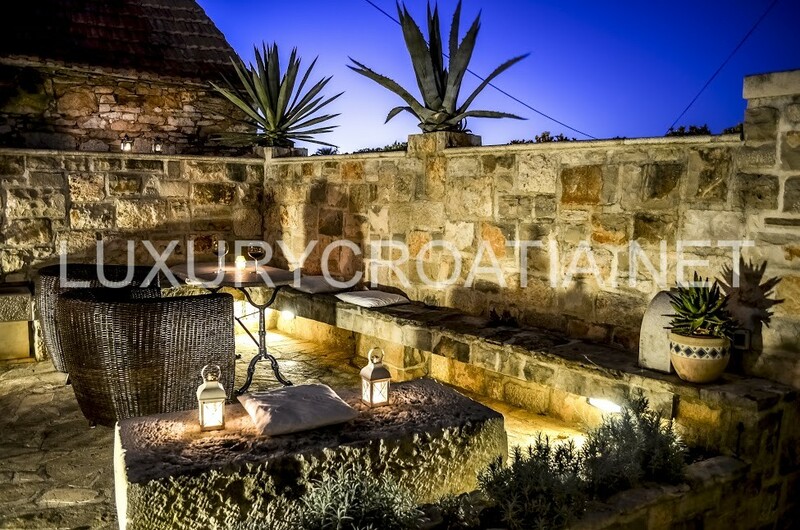 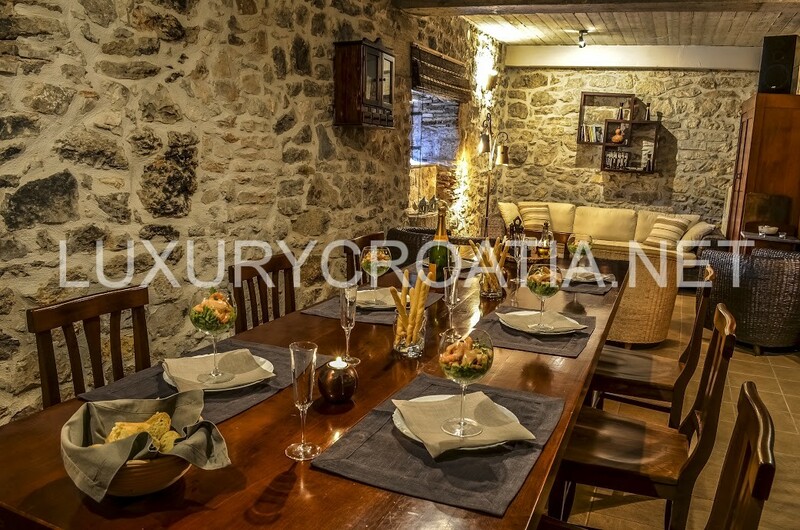 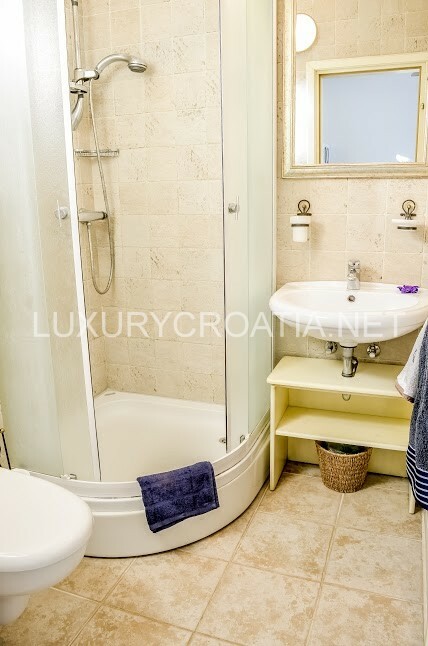 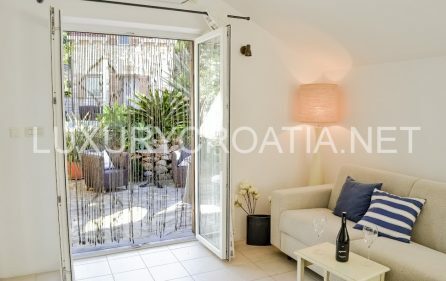 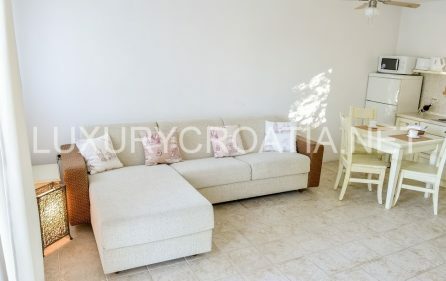 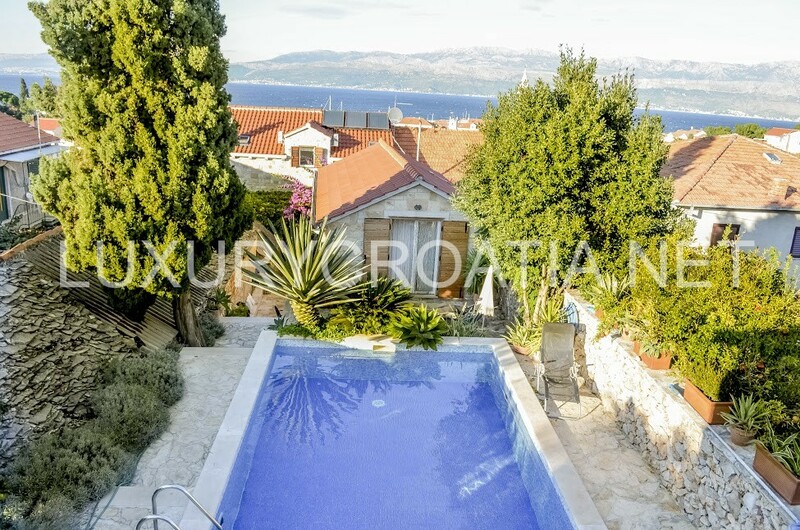 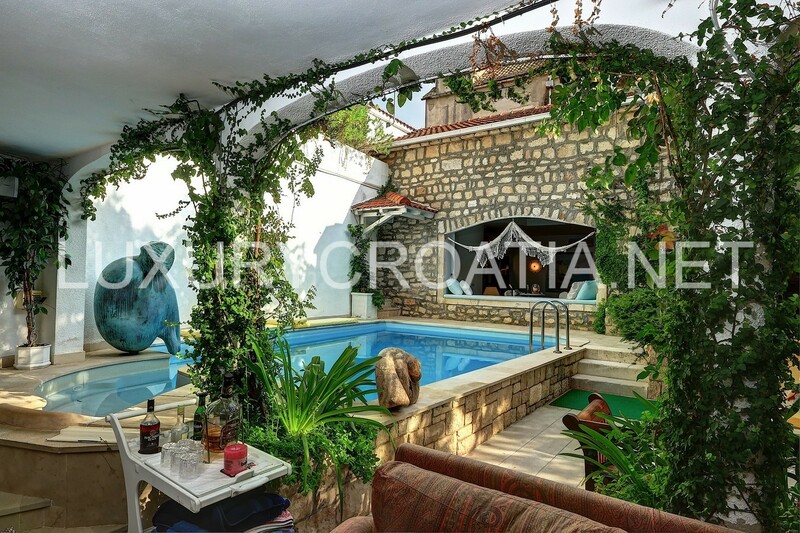 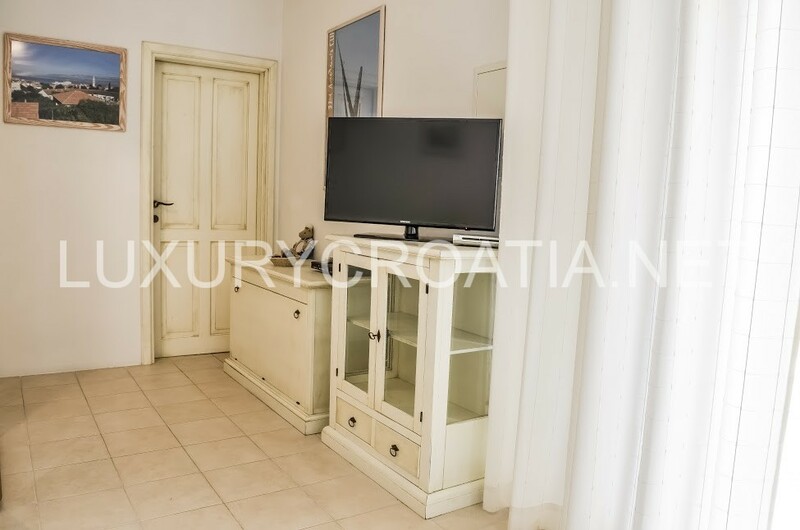 Villa with pool for rent, Supetar, island of Brac : Villa is ideal for friends and families. The villa can be rented as one whole unit or three separate apartments divided between two houses. 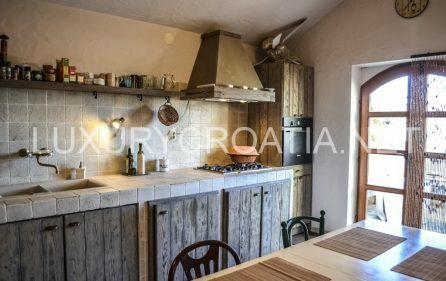 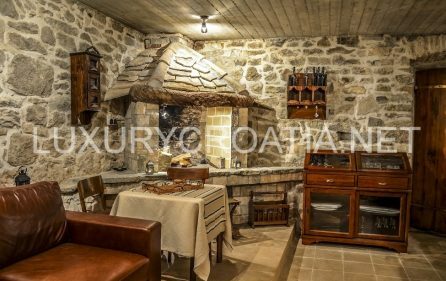 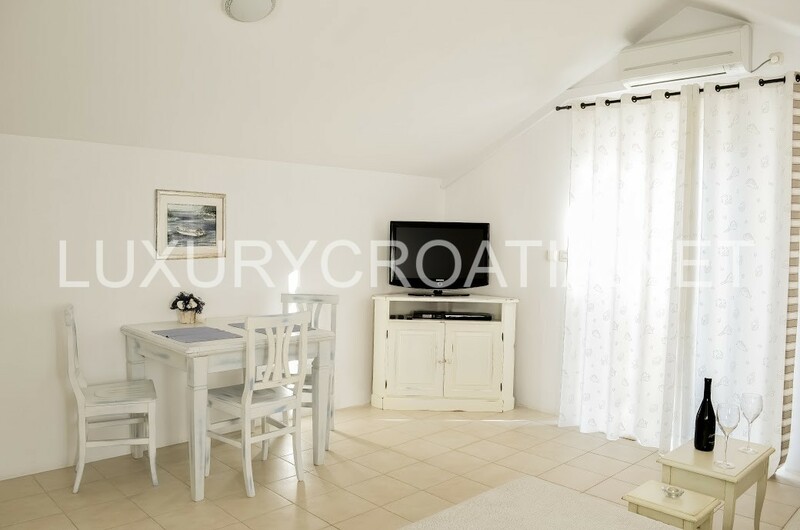 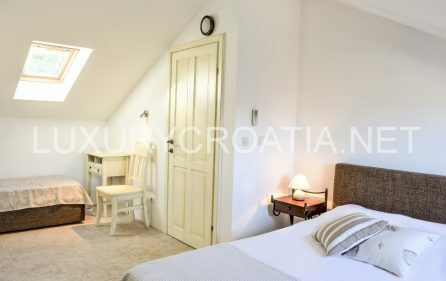 Bigger House– two similar cottages (upper one has an opening to the swimming pool terrace) each consisting of an open plan kitchen, one double bedroom, sofa bed in the living area and bathroom with shower. Smaller House – open plan kitchen, one double bedroom with additional single bed, sofa bed in the living area and quality finish bathroom with shower. 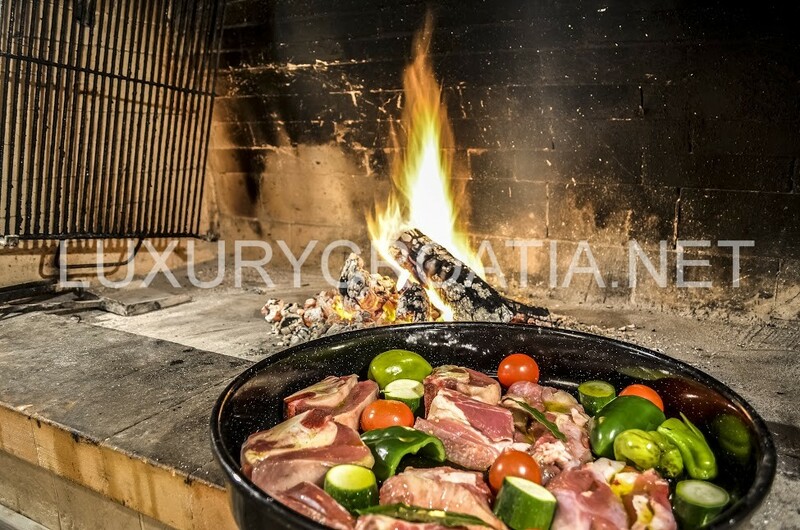 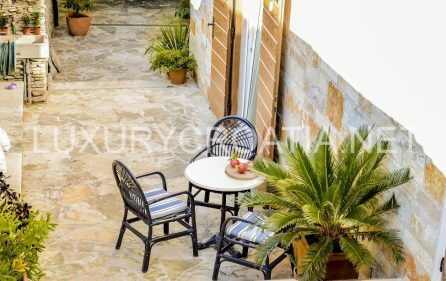 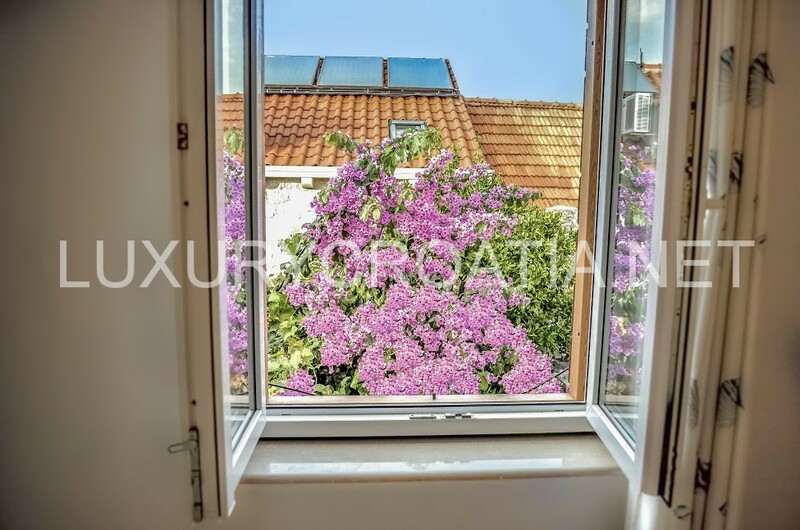 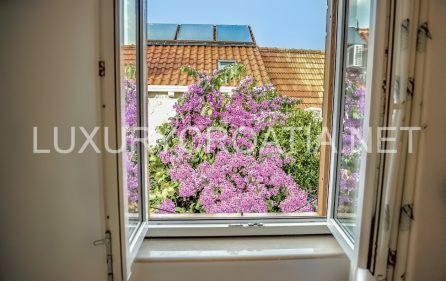 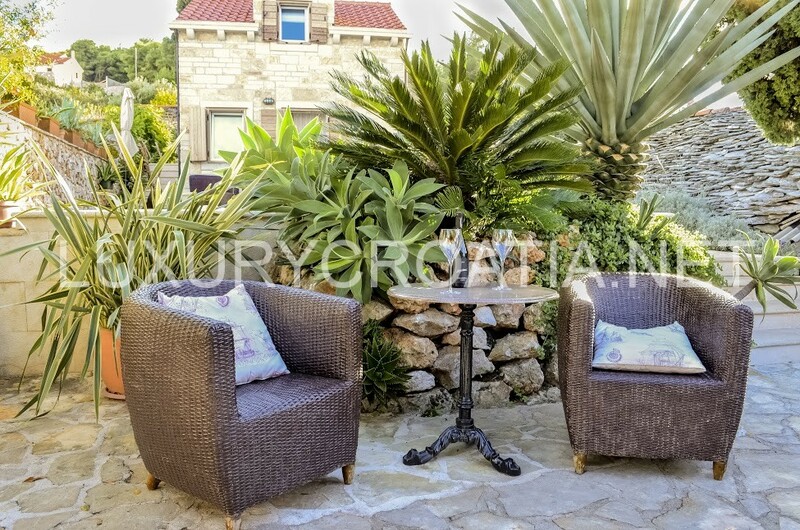 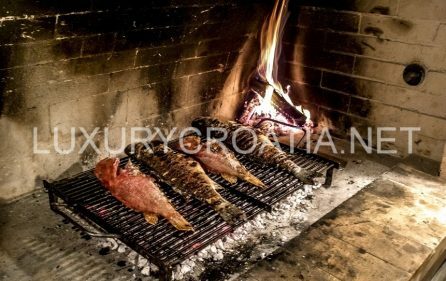 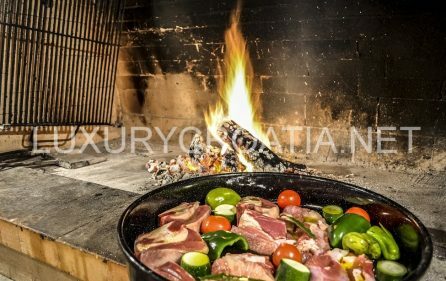 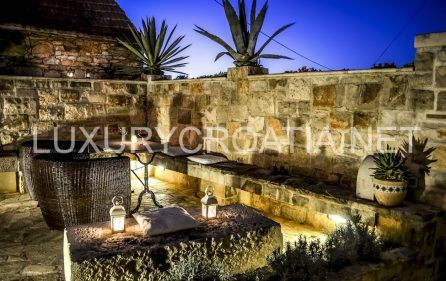 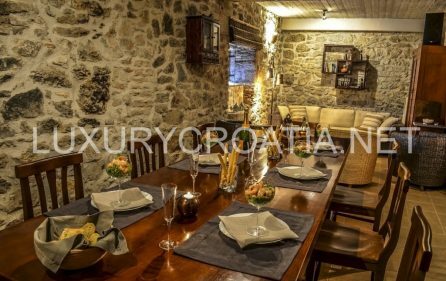 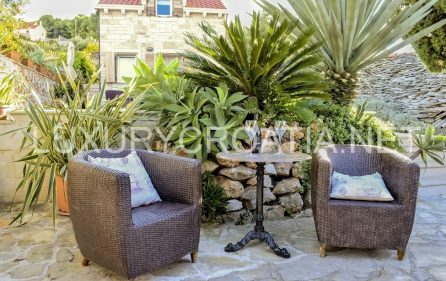 Outside – nicely landscaped garden full of Mediterranean greenery, swimming pool, outside terrace, BBQ, summer kitchen and traditional tavern. 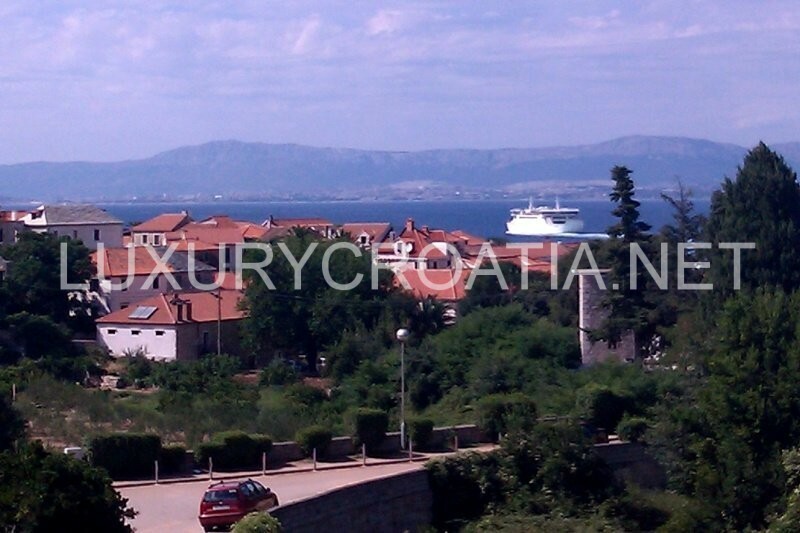 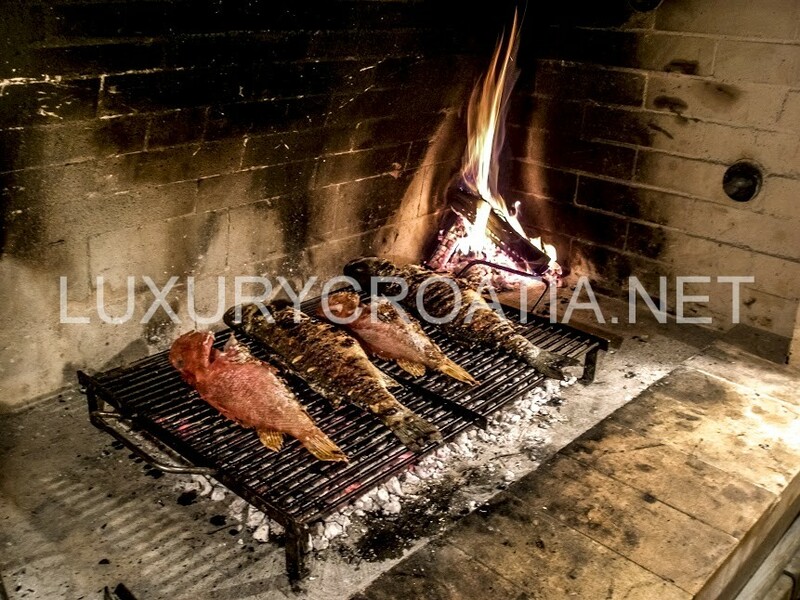 Brac is the gateway to Dalmatia. 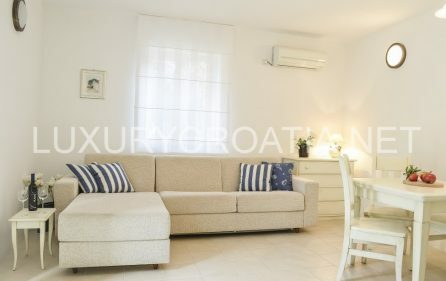 For centuries, people have been drawn to Brac for its natural harbors, its stone work, its spectacular bays, its clear, clean water and its weather (they say the best in all the Adriatic). 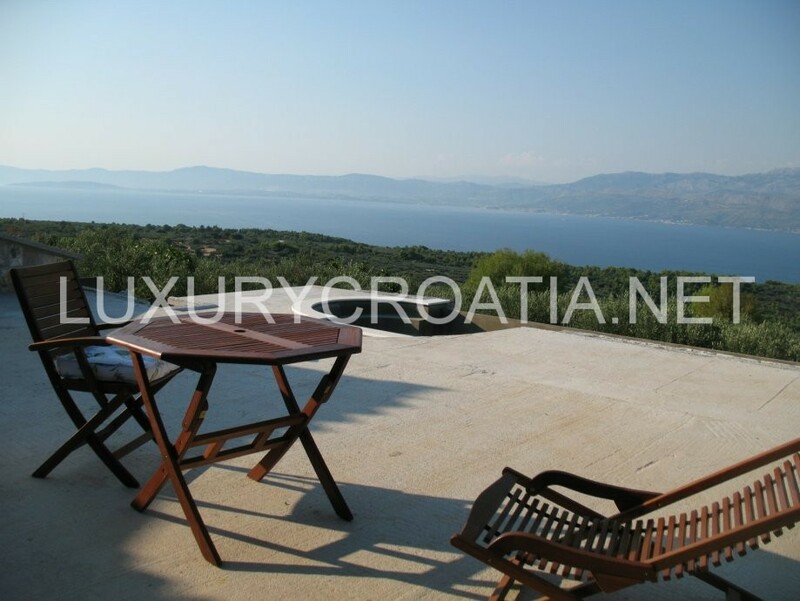 The Island of Brac is the longest and most elevated island in central Dalmatia, 48km long and 14 km wide. 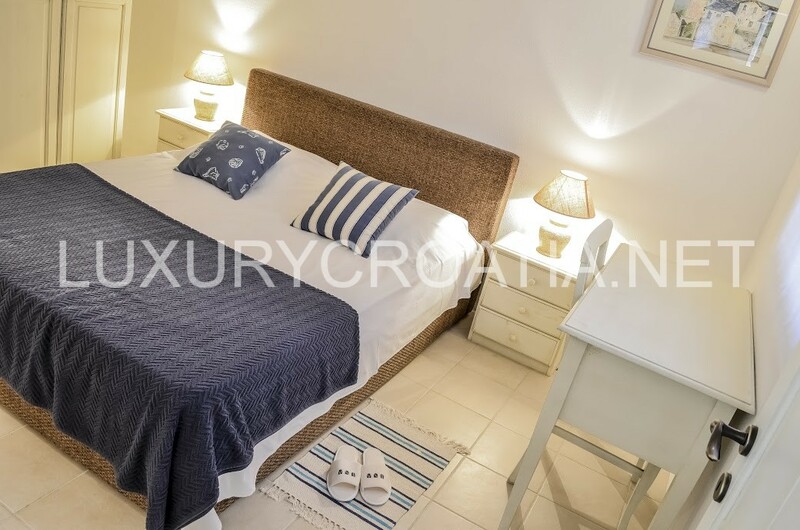 Tranquil coves, stunning sea and island views, traditional villages clinging to steep valley sides and bustling fishing harbors (like Supetar, Milna or Sumartin) make Brac the quintessential Dalmatian island, and the third largest of Croatia’s Adriatic islands. 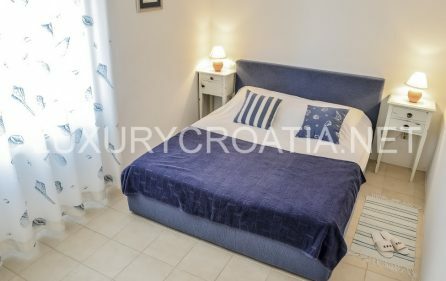 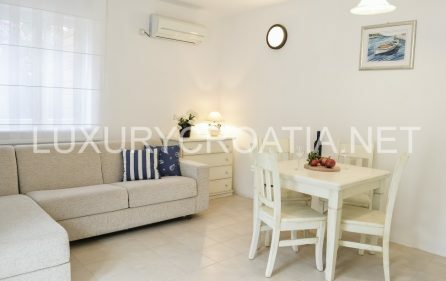 It’s easily reachable by ferry from Split or Makarska in 45 minutes and is a great place to spend a family holiday or partake in a few water sports!